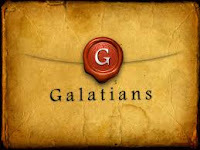 Please join us after worship on Sunday, 26th of March for Lesson #1 of our 10 part study of Galatians, where we will discuss Galatians 1: 1-9. The book of Galatians has been called the Magna Carta of Christian Liberty. Paul is urgent in his desire that those who have found faith in Christ live in the freedom that Christ gives. This book was the cornerstone of the Protestant Revolution for Martin Luther. He loved it!